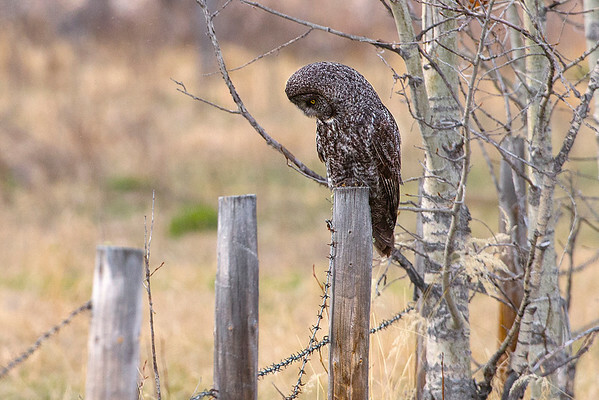 It was getting late and we just about gave up the hunt for Charlie, the great gray owl. Then we saw him and he took us for a walk. The light was difficult but the show was great.